In a large bowl, mix together the Bisquick™, water, and melted butter. 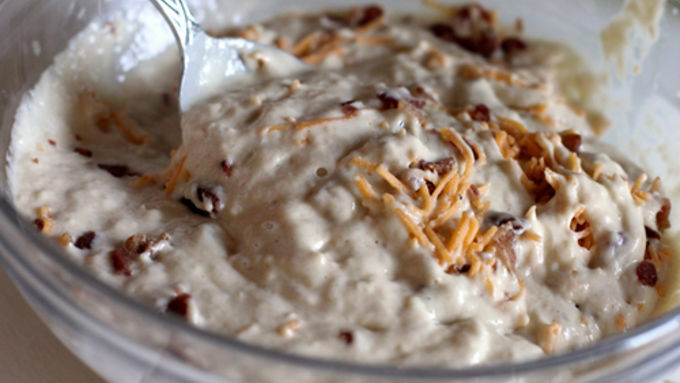 Stir in 2 tablespoons of bacon bits, and all of the cheese. 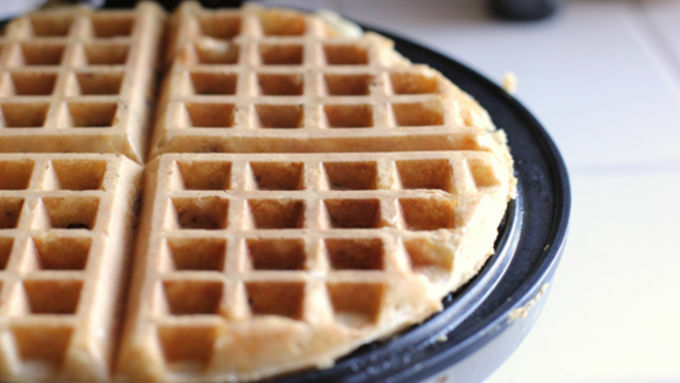 Bake the waffles in a well-greased waffle iron until golden brown. In a small saucepan, heat the pancake syrup and remaining bacon bits together until the syrup is hot. In a small saucepan, heat the pancake syrup and remaining bacon bits together until the syrup is hot. Top the waffles with a pat of butter and slather them thick with pancake syrup. Some things were just born for each other. Christmas and cookies. 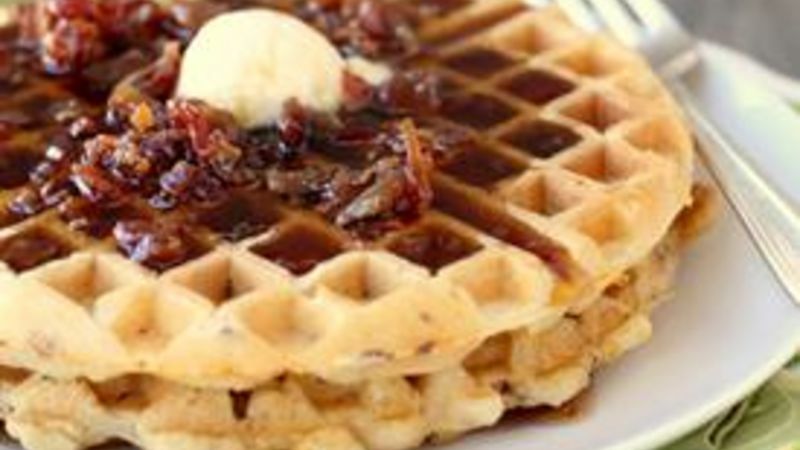 Bacon and cheddar ... make that bacon and cheddar and waffles. Oh yeah, baby. Now you're talking. Ready to turn breakfast into the ultimate romantic union? Rather than slaving away over a hot stove to crisp splattery bacon and eggs and a pan full of pancakes, fingers crossed they all finish cooking at the same time, hows abouts you combine all of these fabu-flavors into one a marriage sure to last longer than that whole Kardashian affair of 2011? 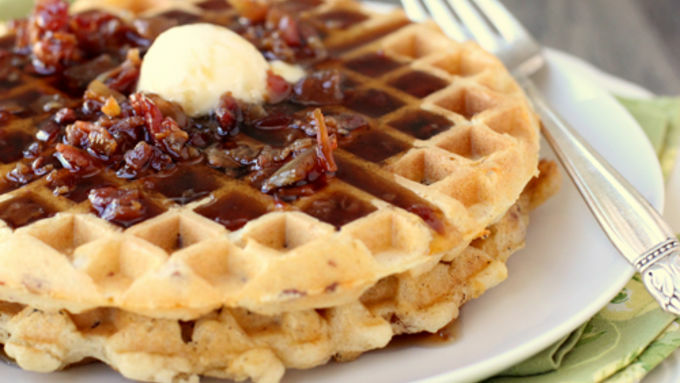 Simple, splendid All-in-One Bacon Cheddar Waffles are studded with bacon bits and sharp cheddar cheese before being topped with a bacony maple syrup. No, bacony isn't a word. Yes. You're going to want to RSVP to this partay. 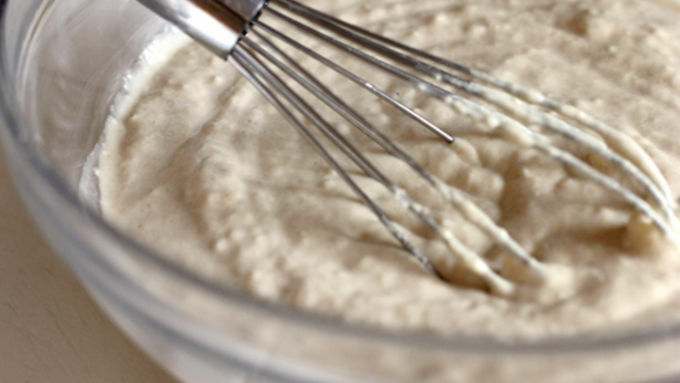 The best part of this recipe is how totally easy it is to make. If anyone has any objections as to why these waffles should not be made, speak now or forever hold your peace. Grab a fork. Lick thy lips. There's a reason breakfast is considered the most important meal of the day, and lucky for you we've got plenty of breakfast recipes to get your day started right.